Let’s be honest: audio interfaces are one of the pieces of gear most likely to make your eyes glaze over. That might even be doubly so for the many, many options available for iPhone and iPad – each, somehow, almost but not quite really solving what you want. Hold on a second. 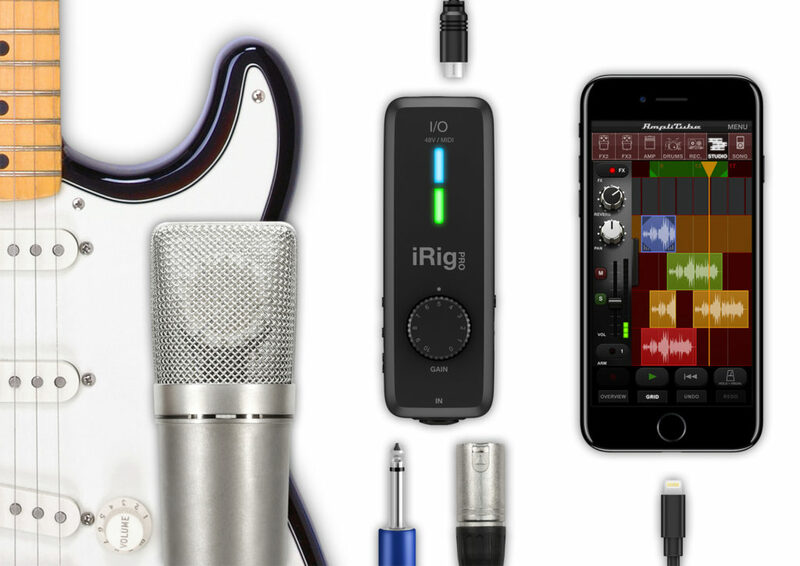 I did a double-take digging through product releases today when I saw the somewhat blandly-named iRig Pro I/O (try saying that ten times fast). Here’s the thing. This could be the interface you keep in your bag just in case, all the time – even at $/€149. 1. It replaces the headphone minijack Apple just took away, with the dedicated (Walkman-style) physical control Apple never had. 2. It charges your iOS device, so you don’t kill your battery. 3. It is itself battery-powered (and AA, so you can run grab batteries in a pinch), or uses USB or DC jack in. 4. It has a physical gain knob for recording. 5. It works with Lightning cables (Apple) or USB (everything else – including Android). 6. It gives you MIDI in and out. 7. It gives you recording (mic, instrument, guitar input with Hi-Z, XLR) on a passive/active Neutrik combo jack (XLR and 1/4″ both). 8. It’s in a handheld form factor. And I hope this is a sign of things to come – that interfaces for mobile in particular let you charge your devices, solve the absence of jacks on iPhones and iPads, run on batteries, and give you MIDI and audio. Well, you don’t get full-sized MIDI jacks. I’m going to really hope they read this CDM article; someday, ideally, all MIDI gear will use one single minijack standard, but we’ll have to find out how this one is wired. But even bigger is this: there’s just one mono input. So you can’t use this interface to do a quick stereo line recording off the board. That makes this appeal to guitarists but … isn’t quite the interface for every job. I wish they had just included a line-level stereo minijack. At least we’re inching closer to a less headache-inducing mobile audio world, though. I’ll keep an eye out to see if something else does this job without being too enormous and heavy – and if you know of something or have a solution you like, do let us know. I suspect this isn’t the only new gizmo coming out this week to solve this problem – by a longshot.